Leave it to the Italians. 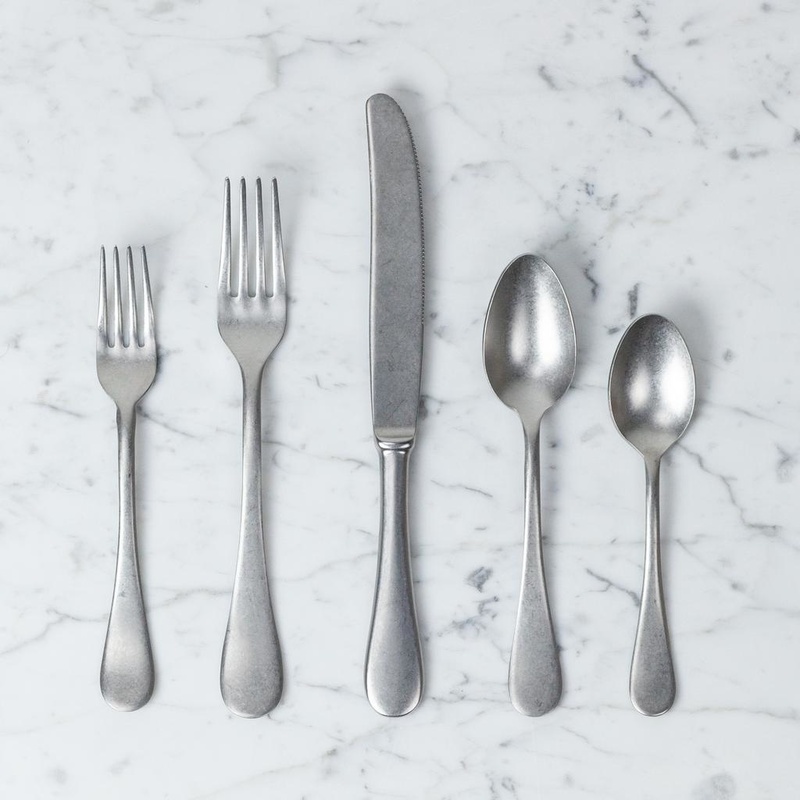 Made in Lumezzana, Italy for generations, this perfectly weighted and flawlessly finished five piece flatware set instantly elevates your weeknight cacio e pepe to special-occasion-status. 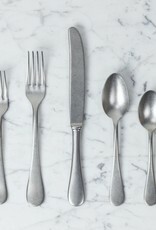 Crafted from 18/10 stainless steel, with an updated-traditional matte silver finish, these utensils have that perfectly effortless blend of old-world charm and modern sophistication that comes from hosting generations of family dinners. With an impeccably vintage vibe that embraces the classic forms (and leaves the curlicues to the other guys), we absolutely love how this line feels in your hand and how it looks on your table. A true pleasure to use. Call them what you'd like depending on your fondness for salad vs. dessert, each place setting comes with a small fork, large fork, dinner knife, large spoon, and small spoon.